Set your sights! Plot your course! 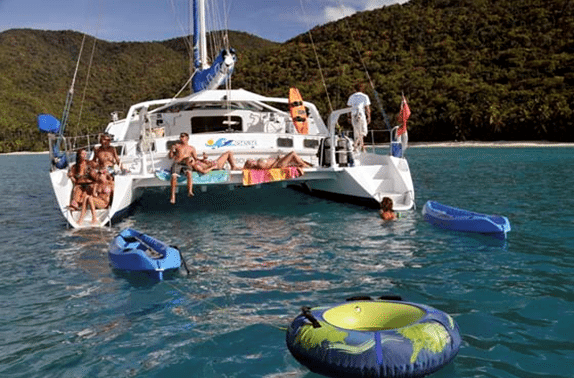 Come along with Blue Horizon Yacht Charters and discover the magic of the US and British Virgin Islands aboard your own private crewed yacht for as little as $2,500 per person plus airfare for a seven-night all-inclusive charter. Perfect for honeymoons & anniversaries, couples, families and small groups. A good alternative to the big cruise ships! VIRGIN ISLANDS IS THE ULTIMATE! It’s exciting! It’s relaxing! Best of all, it’s affordable. The all-inclusive price makes it an excellent value. All your food, drinks, and water sports such as snorkeling, wind surfing, fishing and kayaking are included. Many of the yachts include scuba diving for certified divers. Scuba instruction is available for an extra fee. Your sailing vacation is totally personalized.